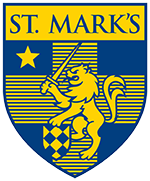 The arrival of our new pipe organ marks a significant milestone in the history of St. Mark’s School of Texas. This new instrument is the culmination of a long-held vision for an instrument designed especially to support the needs and enrich the lives of our community. 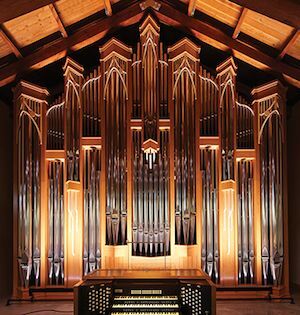 When St. Mark’s constructed the Chapel in 1988, the decision was made to keep the previous organ, designed by Fort Worth organ builder Roy Redman. While the Redman Organ was and still remains a fine instrument, it did not fit with the acoustics of the new, larger chapel. Despite various attempts to modernize individual components, the School decided in 2011 to begin the process of replacing the Redman Organ, which was relocated to the Church of the Holy Nativity in Plano and dedicated in memory of the late James Livengood, organist and choirmaster of both St. Mark’s and the Church of the Holy Nativity. A special Organ Committee was organized to interview a number of renowned organ builders. The Committee decided on Orgues Létourneau Ltée of Québec to craft the new instrument and, together, spent countless hours researching and refining every aspect of the design. The new organ would be modeled after great English pipe organs and built to accompany the St. Mark’s Choir and support congregational singing. “The pipe organ is a tangible statement of the School’s collective faith, one that underscores music’s unique power to reach us in ways that words cannot,” said Andrew Forrest, Létourneau’s Artistic Director. Throughout the summer of 2014, crews worked to renovate the St. Mark’s Chapel in preparation for its new instrument, installing new HVAC systems, lighting, electrical work, and audio/visual systems. In September 2014, thousands of individually-packaged pieces were delivered from Létourneau’s workshop in Canada and laid out on the chapel floor like a giant puzzle. Over two months, the French Canadian crew assembled the organ in the choir loft piece by piece. Once assembled, another month of tuning and voicing occurred. 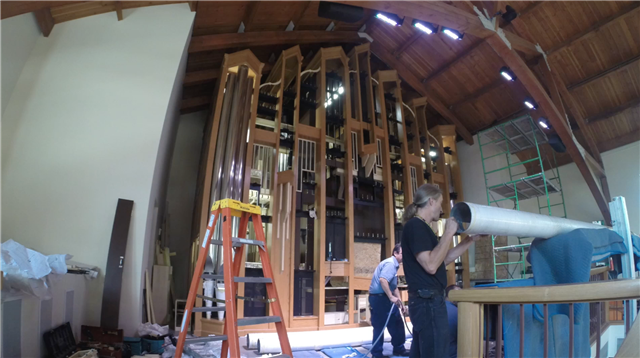 Now, after years of planning and decades of dreaming, the new Roosevelt Family Pipe Organ will accompany St. Mark’s into the next century.